We all want a dog food brand we can trust. With confusing labeling, misleading marketing, and a lack of transparency so common in the world of dog food, a brand’s integrity can sometimes be more telling than the ingredient list. Finding the best dog food is a process that requires attention to all details. It’s a delicate balance of being conscious of the brand while not allowing what looks like a great brand history, reputation, and production process to supercede awareness of ingredients and the food’s appropriateness for your dog’s unique needs. 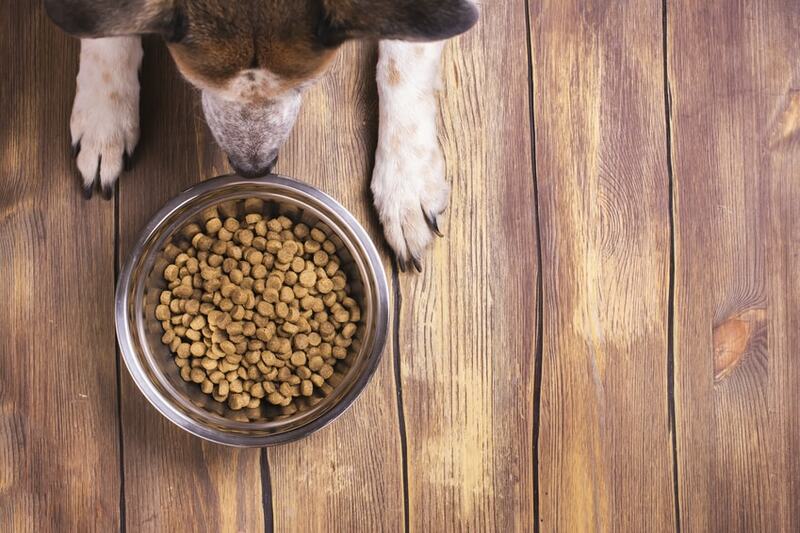 What makes a dog food healthy? It’s a good idea to know what type of meat is used in your dog’s food. Look for foods that clearly name the meat proteins used – “chicken”, “beef meal”, and “duck fat” are all superior choices. Vague titles like “animal”, “meat”, or “poultry” don’t tell you much about the health value of the food, which is especially dangerous for dogs with allergies. Free of any artificial flavors, preservatives, or pesticides. Made without fillers like corn, wheat, and soy – these offer minimal nutrition and may cause digestive issues. Minimally processed to maintain the natural nutritional value of the food. What sets a great healthy dog food brand apart from the rest? Your Doberman’s food preferences likely differ from those of the pug next door. Any great dog food brand, nonetheless, offers food that is loved by most of the dogs who eat it. Besides that, people have to like it, too. A quick way to assess the quality of a dog food brand is by taking a look at real customer reviews. Be suspicious of any brand whose products are accompanied by a lot of reviews complaining about poor reactions to the food or bad customer service. While every so often, even the best dog food brands will have to deal with an error that leads to a recall, the best dog food brands see a recall as an opportunity to demonstrate their transparency and to improve quality control and production processes. Bad dog food brands try to cover up recalls and don’t make an effort to do better in the future. This is why a recall is often the best test of a dog food brand’s integrity. Look for dog food brands that employ experts – veterinarians, animal nutritionists, and food scientists – to design their dog food formulas. Additionally, it’s important that the dog food brand utilizes regular and rigorous testing for quality control. These procedures help to guarantee that the food in your dog’s bowl is free of contaminants and that the food is always nutritionally complete. Ideally, dog food brands should offer a variety of formulas that suit different needs. While some brands specialize in dry, canned, or freeze-dried foods, others offer multiple types of food that appeal to different tastes and preferences. More importantly, the brand should have enough formulations to cover special dietary needs and life stages. For example, large-breed puppies like Labrador Retrievers have unique dietary needs to help prevent hip dysplasia. The best dog food brands are open about the sourcing and manufacturing of their ingredients. You know where the food comes from and how it’s made. Products with ingredients sourced in China, for example, are less carefully-regulated than those sourced in the United States. Superior customer service is important. Good dog food brands have friendly, responsive customer service teams that make customers feel appreciated and heard. Keeping in mind what we’ve just gone over, here is a list of the top 20 best healthy dog food brands. This dog food brand looks back to your dog’s ancestral origins to develop foods that are truly biologically appropriate. Orijen’s foods achieve this by making dog food made from at least 85% whole meat. ⅔ of this meat is fresh and ⅓ of it is dehydrated. In each formulation, this meat comes from 5-8 different animals. This brand uses only regionally-sourced ingredients from trusted North American farms, ranches, and fishermen. The ingredients are delivered from suppliers to their kitchens within three days. Adjacent to their Northstar kitchens is the BAFRINO Research and Innovation Centre, a facility dedicated to developing biologically appropriate pet food formulas. The center achieves this through developing low-temperature fresh meat separation technology, developing natural flavor enhancers, and validating the nutrition, quality, and technical value of all Orijen foods. Orijen has had one recall. In 2008, this recall was limited to cat food sold in Australia. Mandatory gamma irradiation in Australia was linked to serious illness in a number of cats living in the Sydney area. Ziwi Peak’s high-protein, filler-free foods are based around whole meat ethically sourced from New Zealand ranches and waters. Their beef, venison, and lamb is always free-range and grass-fed. All of Ziwi Peak’s ingredients are carefully sourced from ethical ranches and regional fishermen. Every formula from Ziwi Peak is free of GMO’s and anything artificial, like preservatives and dyes. All of their foods are highly digestible and nutrient-dense, leading to less feeding and less waste. Ziwi Peak offers two different types of meals: canned and air-dried. Their air-dried food utilizes a twin-stage drying process that simply locks in all the benefits of raw food while killing dangerous pathogens, making it perfectly safe to handle and eat. This air-dried food is made from 98% real meat from regional sources, plus 2% essential vitamins and minerals to ensure that the food is nutritionally complete. Ziwi Peak’s moist food contains 92% pure meat, organs and bones for a high-protein, high-moisture food that delivers extraordinary nutrition in a convenient form. Ziwi Peak products have never been recalled. Fromm is a family owned and operated company operating out of Wisconsin. Fromm has a long history in the world of animal health – in 1939, Fromm Laboratories, Inc. created and marketed the first fox encephalitis vaccine, fox distemper vaccine, canine distemper vaccine, and feline distemper vaccine. In the 1940s, Fromm developed the first all-granular dog food. Fromm offers three lines of dog food and a wide array of formulas for puppies, adults, and seniors, as well as food designed for different dog sizes and weight goals. Fromm implements HACCP (Hazard Analysis & Critical Control Points) programs in all of their manufacturing plants. Besides this, their facilities are subject to regular inspection by the FDA, USDA, and APHIS. To ensure that all ingredients are safe, Fromm has instituted an Approved Supplier Program that ensures that all ingredients are tested by suppliers before arriving at Fromm’s facilities. Fromm tests their products in their lab to ensure that all Fromm foods meet the guaranteed analysis printed on the labels. In 2016, Fromm voluntarily recalled canned dog food due to concerns about elevated levels of Vitamin D.
Acana comes from the same company behind Orijen – Champion Pet Foods. It’s a lower-priced option with a slightly lower protein content than Orijen. Acana foods are made with up to 75% meat from and over 90% of the food’s protein content comes from meat. All of the ingredients are carefully and transparently sourced from regional farms, fishermen, and ranches, then processed in Champion Pet Foods’ safe, technologically-advanced Dogstar Kitchens in Kentucky. 50% of the meat in all Acana foods is fresh or raw. The ratios of meat, organs, and cartilage mimic that of whole prey. This meat in its natural form delivers maximum nourishment; again, this is food that authentically represents your dog’s natural dietary needs. Instead of being packed with fillers and high-glycemic carbohydrates with minimal nutritional value, Acana dog foods use low-glycemic fruits and vegetables. For over 25 years, Eagle Pack dog food has been made in the USA from real meat ingredients with no artificial ingredients or fillers like corn and wheat. Its foods do, however, use rice, barley, oatmeal, and flaxseed. Eagle Pack has instituted rigorous safety mechanisms based on the quality assurance processes used in human food production. They control the quality of the product along all stages of production, from ingredient selection, to supplier selection, to production in the facility, and success measurement based on customer feedback. Their dry and canned foods come in a variety of formulas for puppies and adult dogs, including those specifically made for large and small-breed dogs. Eagle Pack currently hasn’t had any recalls. This brand offers three lines: holistic dry, grain-free holistic dry, and moist food. Within these lines, you’ll find special formulas designed for different life stages and weight control goals. All of their products are manufactured in their Illinois plant from real meat meals, which are concentrated meats with a higher percentage of protein than fresh meats. All of the ingredients, including meats, fruits, and vegetables are carefully selected to support your dog’s optimal health. Besides creating high-quality dog food from wholesome natural ingredients, Earthborn Holistic is an environmentally conscious brand that operates using clean energy and renewable resources, plus it encourages customers to recycle packaging. Currently, this brand hasn’t had any recalls. The Honest Kitchen offers minimally processed, 100% human grade dehydrated food for dogs. While no ingredients come from China, they are sourced from around the world. In order to uphold the “human grade” claim, every step of the supply chain and production process has been reviewed by the FDA and approved as fit for human food. That means that they are subject to strict manufacturing and quality control regulations. The brand releases quality control spec sheets on their website so that you can verify that each lot has passed inspection. All of the brand’s foods are free of GMO’s, artificial preservatives, and chemical pesticides. They offer multiple dog food lines, including whole grain, grain-free, minimalist food, base mixes, treats, toppers, and supplements. In 2013, The Honest Kitchen voluntarily recalled five lots of dog food due to concerns about parsley that may have been contaminated with salmonella. Nature’s Variety Instinct foods are based around the nutritional value of raw food. Most of this brand’s foods use cold pressure technology instead of high heat to process raw food, locking in the raw nutritional value while ensuring that the food is safe and easy to serve. Nature’s Variety also offers frozen raw food for those who want a true raw feeding experience. All of their foods are made without artificial colors, flavors, and preservatives. Their ingredients are sourced from around the world and processed in their company-owned facility in Lincoln, Nebraska. Nature’s Variety has established a Nutrition Council made of experts in pet nutrition and veterinary science, along with research and development specialists. The council assembles twice annually to encourage continued growth and quality. Nature’s Variety Instinct dog food was voluntarily recalled in 2015 due to concerns about salmonella contamination. Stella and Chewy’s offers raw food in a variety of easy-to-feed formats, including raw-coated kibble, frozen raw, freeze dried patties, and meal mixers. Their ingredients are carefully sourced from trusted ranchers – all the meats were grass-fed and raised in cage-free farms in Europe, Australia, New Zealand, and North America. None of Stella and Chewy’s ingredients come from China. All products are produced in their own USA kitchen using a patented safety procedure that locks in the nutrition of raw food while eliminating dangerous bacteria. Stella and Chewy’s was recalled twice in 2015 – both recalls were voluntary and associated with possible exposure to foods contaminated with Listeria monocytogenes bacteria. This brand offers an accessible variety of starter packs, frozen, and freeze dried raw foods that make it easy to feed your dog raw. In addition to these simple solutions, Primal offers a selection of other raw foods like meaty bones and even raw goat milk. Primal’s dog food products are made with USDA human grade meats and organic produce. All of Primal dog food’s ingredients are processed and inspected under strict USDA standards for safety in their USA facility. These ingredients are sourced from the USA, New Zealand, Australia, and Europe. Primal has currently never been recalled. Wysong was founded back in 1979. Since then, the brand has been dedicated to providing truly high-quality foods for dogs – products inspired by their natural dietary needs and designed to promote optimal long-term health. The company was created by a veterinarian and employs a staff of pet doctorate professionals to develop all of their pet food formulations. All of their foods are manufactured in Wysong’s facilities. Wysong’s philosophy is that dogs should be fed a variety of different foods. Thus, they offer multiple lines and recipes that you can feed in rotation or as whole diet. Because Wysong has a strong focus on the health benefits of its food, it also offers recipes designed to help with specific sensitivities and concerns, like allergies and different life stages. Wysong dog food was voluntarily recalled in 2009 due to concerns about excessive moisture that could lead to mold growth. This is a diverse brand with plenty of options for different tastes and lifestyles. Wellness Core offers protein-rich, grain-free dog food available in a variety of formulations that appeal to different tastes and lifestyles. You’ll find shreds, raw bites, dry kibble, pate, and treats. All of these foods are free of artificial flavors, colors, and preservatives. Wellness foods are made in the United States and Canada and are thoroughly tested throughout the production process. Wellness foods have been recalled three times in the last five years, although none of these were associated with the Core brand. None of these recalls were connected to any known health effects. Nutro has been making pet food since 1926, utilizing only quality ingredients with no GMO’s, artificial flavors, colors, or preservatives. Their foods also exclude common fillers like corn, wheat, and soy. Their dry and wet foods are processed in Nutro-owned USA facilities located around the country. All of their products are rigorously tested throughout the manufacturing process. Their ingredients come from suppliers located around the world. Nutro boasts a great selection of foods geared towards specific life stages, dog sizes, and comes in multiple formulas to suit a range of taste preferences. Nutro dog food was voluntarily recalled in 2009, when bits of melted plastic got into the production line of some varieties of dog and cat food. All Zignature foods feature whole meats and fish as the first ingredient, followed by fish or meat meal. Their foods never use byproducts, fillers, or anything artificial. Zignature foods are made from limited ingredient recipes that are designed with allergic dogs in mind. They’re free of common dog allergens like chicken, corn, wheat, soy, and dairy. Zignature dog foods are also low-glycemic, making them great for dogs with diabetes. The brand uses ingredients sourced from around the world and partners with multiple facilities to produce their wet and dry foods. Currently, Zignature has not had any recalls. Nature’s Logic food for dogs is made simply, with minimal ingredients and no fillers or common allergens like corn, soy, and wheat. All of their formulas, including dry, canned, and raw, are completely grain-free and use real meat as the first ingredient. Nature’s Logic food uses naturally appearing vitamins and minerals for pure, simple food that reflects your dog’s natural dietary needs. Without using any synthetic nutritional supplements, Nature’s Logic food meets AAFCO standards and is nutritionally complete. Its ingredients are sourced in the US, New Zealand, and Europe and the food is manufactured in the United States. Nature’s Logic has not had any recalls. For those seeking high-protein, low-carbohydrate foods with simple ingredient lists, check out Hound & Gatos. This brand creates extraordinarily simple, meat-based canned foods for dogs. These high-protein formulas center around real USA-quality meat. These foods reflect your dog’s ancestral diet by offering nutrition through meat with no grains, fillers, artificial ingredients, or byproducts. Hound & Gatos ingredients are USA-sourced, except for New Zealand lamb. All Hound & Gatos products are made in the USA. Currently, this brand has never been recalled. While not the most protein-rich dog food, Taste of the Wild offers grain-free dog food inspired by the wild canine diet, incorporating novel proteins like venison, wild boar, and bison. This brand offers a selection of dry and canned foods for dogs in various life stages, along with recipes for pregnant and lactating dogs. Taste of the Wild foods are made in five facilities located around the United States, where quality control programs are implemented to ensure safety throughout every stage of production. Taste of the Wild was recalled in 2012 due to concerns about salmonella contamination. Victor dog food is marketed as a highly digestible, ultra-nutritious food at a great price. Their canned and dry foods are available in multiple formulas designed specifically to suit different needs. Victor offers food for different activity levels, life stages, and weight management goals. Their foods are made without artificial ingredients, fillers, or byproducts. That means that none of their foods contain corn, soy, or wheat – all of which carry minimal nutritional value and are potential allergens. For those seeking grain-free foods, Victor offers a line of grain-free kibble and canned food. All of their foods utilize prebiotics, probiotics, and other ingredients to encourage digestibility and better health. All Victor products are manufactured in the company’s own Texas facility and are AAFCO certified. Holistic Select offers an impressive variety of dry and canned foods for dogs of various life stages, sizes, special sensitivities, activity levels, and weight control needs. Holistic Select foods include digestive enzymes, probiotics, fiber, and botanicals as part of their unique digestive health support system. No artificial preservatives, colors, or flavors are used in any of this brand’s formulas, and all of these foods feature meat and meat meals as the first ingredients. While the brand does offer grain-free formulas, their foods tend to be slightly more carbohydrate-heavy than some other foods on this list. Their dry foods often include ingredients like oatmeal and rice, both of which are more nutritionally valuable than common fillers like corn, wheat, and soy. Their quality assurance program exceeds the standards set by both the FDA and AAFCO by demanding that all suppliers implement the HACCP (Hazard Analysis Critical Control Points) program, ensuring quality control and safety throughout every stage of production. Holistic Select foods are manufactured in company-owned US facilities. Currently, Holistic Select has never been recalled. One of the most affordable brands on this list, Whole Earth farms offers dry and canned foods made from a variety of recipes designed for different life stages, body sizes, and weight management needs. All of their foods are made without any artificial ingredients like colors, flavors, and preservatives. Like every other high-quality dog food, Whole Earth Farms foods are also free of byproducts and fillers. They’re made with quality meats and meat meals along with nourishing plant matter. All of their products are cooked in the USA and sourced from around the world. None of Whole Earth Farms’ ingredients come from China. Whole Earth Farms is part of Merrick Pet Care, which Nestle Purina purchased in 2015. Currently, no recalls are associated with this brand.